In order to assist our current and future clients, we have provided the following tax resources for your use. Please Contact Us today to schedule an appointment. You don’t have to go it alone. Barto Hoss & Company can help with any and all of your tax needs. 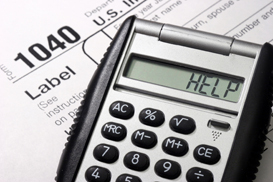 A tax organizer can facilitate the process of pulling together your tax information. This basic tax organizer is designed for new clients and allows you to enter your information right on the screen. You can then print the completed tax organizer and fax or mail it to the office. Current clients should contact the office to request a “proforma” tax organizer that includes prior year information and carryover data if you have not received one from us in the mail. Push the Play Button for a message about our CPA firm. Copyright © 2019 Barto, Hoss & Company, P.C.